The stainless steel chardonnay is characterized with upfront fresh fruit notes of pear, peach and granny smith apples. 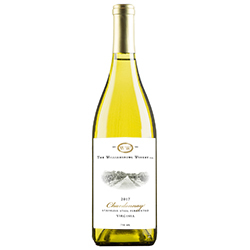 The fresh fruit notes are enhanced by the bright lemon/lime character that give the wine a lovely bright affect. The wine has a clean fruit forward mid palate that carries through to the finish. I really like the crisp clean fruit forward notes of this wine and believe it will be a great addition to any chardonnay line up. Mt. Juliet Vineyards Chardonnay was harvested on 28th August at 21.6 brix, 3.55 pH and 6.24 TA. Amrhein Vieyards Chardonnay was harvested on 20th August at 18.5 brix, 3.45 pH and 6.84 TA. Mt. Juliet Chardonnay was fermented in stainless steel with Ferm 3C yeast for over 1 month. Amrhein Vineyards was fermented with D254 yeast in stainless steel for over 1 month. Both chardonnays did not receive any ML inoculation.